Respect for the Aged Day敬老の日・けいろうのひ was started by Nomadani-Mura Village (the present day town of Taka-Cho) in 兵庫県ひょうごけん・Hyogo Prefecture. In 1947, the village declared September 15th to be Old Folks Day, highlighting its elderly citizens and celebrating longevity. The popularity of the holiday soon spread throughout the 県けん・Prefecture and then to the whole nation. In 1966 it became a 祝日しゅくじつ・national holiday and took its present name. In 2003 it was moved to the third 月曜日げつようび・Monday in 九月くがつ・September. The purpose of the holiday is unchanged, the celebration and highlighting of the nation’s elderly citizens, their experience and wisdom, and the celebration of long life. 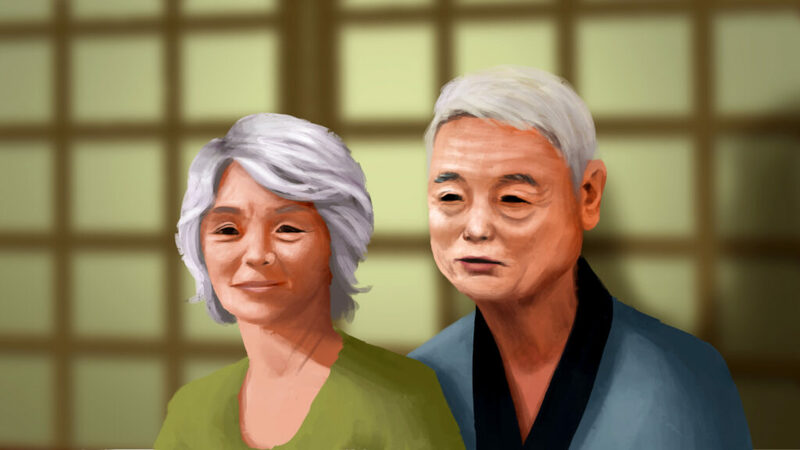 The Japanese メディアmedia will usually report on the aging population, a big problem for Japan, and to put the spotlight on the eldest people in Japan and to celebrate Japan having one of, if not the highest life expectancy in the world. 敬老の日けいろうのひ・Respect for the Aged Day creates a 3-day weekend, and sometimes a 4-day weekend when it occurs in conjunction with Shubun no Hi. As such, it is a busy travel time as people travel around the country to visit elderly friends and family members or to just take advantage of the 長い週末ながいしゅうまつ・long weekend.